Team RWB members. Ryan Taylor is standing, and is second from the left. Part of what veterans appreciate is that when they’re exercising with Team RWB, they can talk about their military experiences if they want to, but that’s certainly not a requirement. Marine veteran Ryan Taylor is the Ann Arbor chapter captain. He says it can be awkward when his civilian friends ask questions about his time in Iraq. 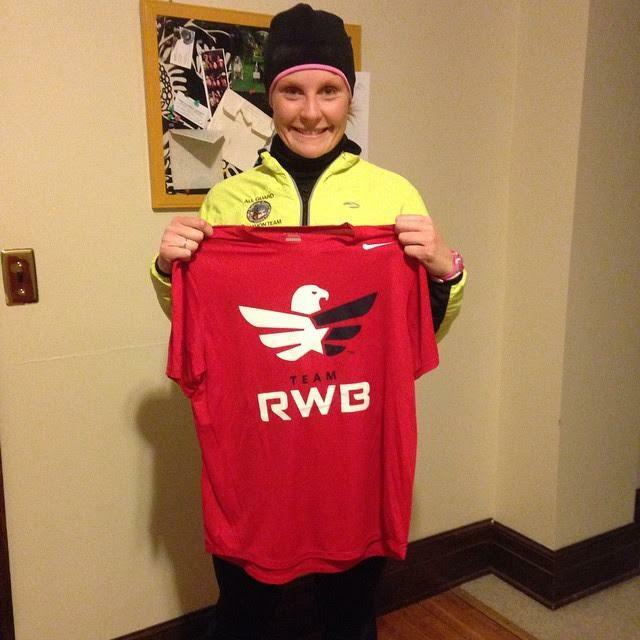 Team RWB member Sarah Robb agrees. She served with the Vermont Army National Guard in Afghanistan. Sarah Robb is a serious runner. She served with the Vermont Army National Guard in Afghanistan. Robb says she often doesn’t tell people she’s a veteran. 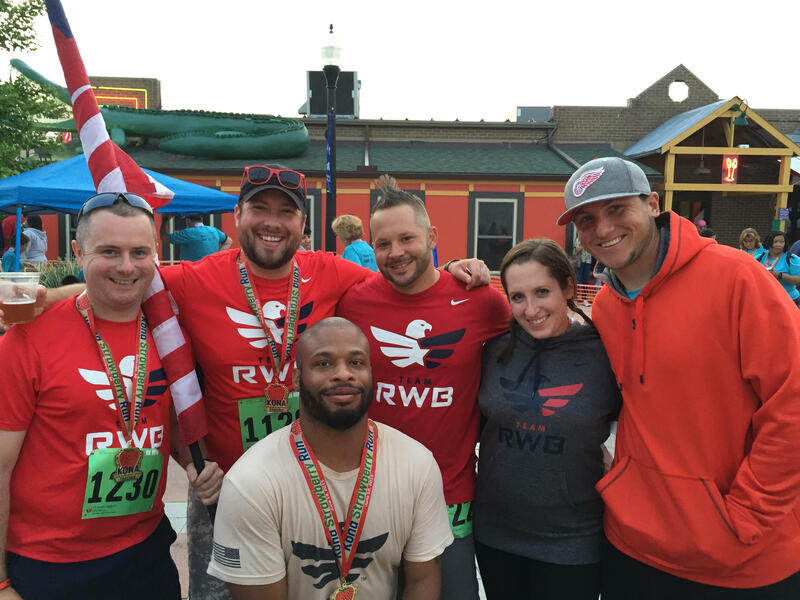 But the vets say when they run with Team RWB members, it feels like they’re hanging out with their friends, even though they may be meeting the other vets and civilians for the first time. In fact, Taylor became good friends with another member, Mike Lehnis, who was the previous chapter captain, and happens to be a civilian. When Taylor was going through his recent divorce he had an especially bad day. He came home and his wife had left and taken a bunch of stuff from their house. Within 10 minutes, Lehnis showed up at Taylor’s house. “He picked me up off the floor and took me to his house and I stayed over there for the next few days,” says Taylor. That gesture was a big deal. Organizers with Team RWB say they see veterans go through big transformations with this program. Members often evolve from being isolated and out of shape, to more social and happier. And that’s the point. Taylor says if he had not found this organization, he’d be that guy who liked to drink at night, and wake up hungover, and sit around the house eating pizza during the day. But this group gives him something to be excited about and to look forward to. He wasn’t able to run a mile when he joined, and not that long ago he ran a marathon. After Taylor left the Marines, he said something was missing in his life. But now that he’s found Team RWB, he says it’s made him whole again. 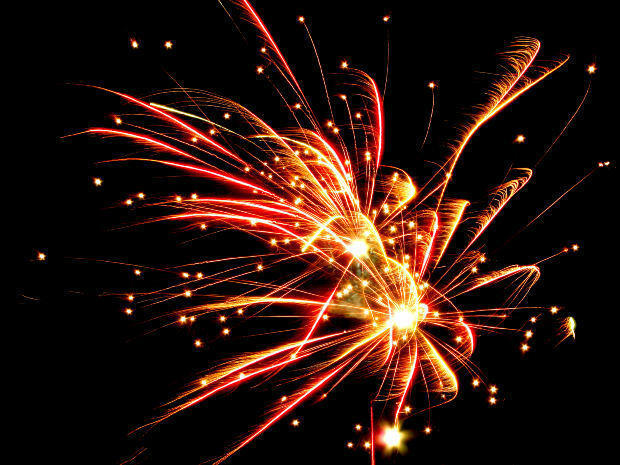 Veterans who prefer a quieter Fourth of July weekend can find fireworks-free celebrations at a dozen state parks between now and Sunday. Park officials say the idea for the events came from conversations with veterans. They say the sound of loud fireworks can trigger distressing memories for many vets – especially those with post-traumatic stress disorder (PTSD). When a veteran comes home from war with an obvious injury, like a missing arm, they know they'll have to talk about it. Some vets get so used to telling that war wound story, it becomes almost routine. What’s harder to talk about, and to understand, are the invisible injuries. That's why a nonprofit called Fashion Has Heart is pairing wounded vets with graphic designers. Together, they create t-shirts and combat boots that reflect each vet's experience. And right now they’re on display at ArtPrize, where anybody can buy - and wear - the results.